Output is 105V max without a booster, while the piezos we're considering are 200V max. The original clinical setup was returned with a vague description that one of the channels didn't work. The issue was determined to be a faulty i2c line on channel 1 of the board. The solution was to replace the old board (#004) with one from the new batch (#103). We could equally have simply switched the connection on channel 1 to channel 3, but that would involve procedural changes to the operation of the system, namely aliasing 1 to 3 in one single command on one version of the software (too clumsy) or asking the operator to use only channels 2-5. While running these tests I (Hugo) found that the newest versions of the software (r 199) is not fully functional. It would behoove us to scrutinize the code with a bench setup before installing it on any other versions. The error I noticed is that the setup command will not survive passage from the client to the host. 2019-03-11 Hugo Cable Assembly testing The whole setup, using board 101 and the D-sub cable assembly to connect to the hand cradle, was tested channel by channel, and the test confirmed that everything down the signal path from the HAT board works properly. 2019-03 Hugo HW Testing Testing Rev. C driver boards from a new run, numbered 101, 102, 103. On pi, it takes 400mA, 5V at bootup. 2018-12-12 Final testing The device finalized on 12/12 takes around 3.5A to run all five channels at maximum amplitude. 2018-11-28 Further Testing Several tests were conducted with the new adapter (proper pinout). The power supply had been set to a limit of 1A, and was raised to 4A, which solved the Over-Current Trip. Some notable happenings: Testing the New device (has not been to the Somers Lab) versus the Old (Has sat in the Somers Lab) device revealed that the Old device draws about 0.1A more than does the new device. The Old Device with the Old (Blue-box/earlier shipment) piezos produced a louder and cleaner sound than did the New device. 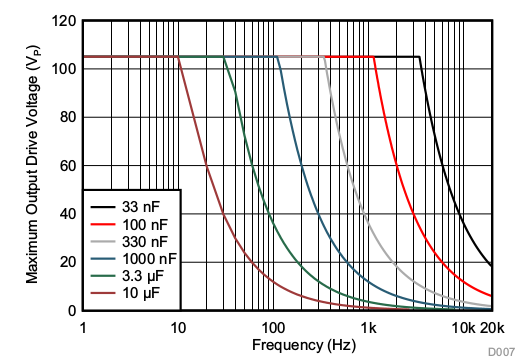 With the lower power supply current limit, both devices trip at relatively low levels (0x80 - 0xc0 on the hex output scale) With the higher power supply current limit, neither device trips. These piezos have been labeled today as A, B, and C.
Therefore, it is suspected that GND and SIG were wired incorrectly during previous testing. A new 4-pin to 3-pin adapter has been made with the pinout: SIG,GND,BST (in agreement with Piezo Inductor Board Rev.A) New-batch piezos D and E will be rewired to this pinout, and tests will be repeated for all six piezos. Conducted another test with the piezo wires closely braided. No problems this time. For Sean's use, the current setup is thought to be usable. Tested the setup in the MRI for the first time. Thumb piezo arced. Wires to piezo were not twisted or otherwise dressed. It is likely the thumb wire had a significant loop which picked up RF, causing the arc. The EDF (Hugo) will wire a cable with (4) piezos on one end and connectors suitable for the electronics on the other end. We figured out some more scripting today - changing parameters of one, multiple, or all drivers and buzzing separately is possible. We wrote code that pre-programs the RAM and calls on it to play prewritten waveforms There is roughly a 1ms delay between selecting a waveform and playing it on the piezo, as shown below. Thus we can expect a 2ms delay before buzzing should we also write to select a mux before selecting and writing to the piezo driver. Below is a block of the code from Chris Black at Brown with comments added to explain how the code writes to the RAM and how to write waveforms. The first image is the buzz signal (measured on a scope and not attached to a piezo) as it appears the first time after the function is called. For some reason the runtime is longer than the individual time (end of last i2c transaction to first buzz) by anything from 1-10ms. These timing diagrams affirm that the delay due to i2c transactions is on the order of 10ms for a normal-sized command. The second buzz after the function call (and subsequent buzzes) take less time (on the order of 0.1ms=100us). The following two images show delays of 700us and 11ms between the first write and the first buzz, depending on whether or not the waveform gets rewritten before each buzz GO write. Value Their P/N Stock P/N DigiKey? They are $40 assembled by "FyberLabs?" but out of stock now. Could get a batch made by Osh park? Something bad happened and now the 3.3V supply is gone and probably the uC. It does still work with external input to the DRV2700 though the gain seems low. Reconnect to external power and signal gen. Seems OK.
Signal gen set to "2V". Measure 1.5V pk-pk on TP7 and 85V pk-pk on output. This is a gain of 56 which is around 35dB. Somewhat less than the advertised 40. Now working on signal generator control. Looking at ​the manual. It says to use port 5024 for Telnet and 5025 for socket sessions. It works! Close JP2, JP3, JP4 to get ~100V power, now get up to 50V output. 2018-02-21 have a DRV2700EVM eval module. Trying to run the software in Vbox on thinkpad. Failed miserably, but it does work on the "big printer" windows machine. ExpressPCB boards should be connected with roughly 1m (3'4") of the black ethernet cable. Looking from the raspberry pi to the piezos and going L-R the cables should cycle Blue-Orange-Brown-Green-Bl-O-Br-G-Bl-O at all connections. time_sep.png​ (567.9 KB) - added by hlinds19 11 months ago. long.png​ (173.3 KB) - added by hlinds19 11 months ago. short.png​ (142.6 KB) - added by hlinds19 11 months ago. out-trig.png​ (140.9 KB) - added by hlinds19 11 months ago. fast_buzz.png​ (134.4 KB) - added by hlinds19 11 months ago. slow_buzz.png​ (153.1 KB) - added by hlinds19 11 months ago. drv2667.py​ (3.5 KB) - added by hlinds19 11 months ago. wvfm_change_delay.jpg​ (121.4 KB) - added by hlinds19 11 months ago. change_all.png​ (119.5 KB) - added by hlinds19 10 months ago. setup.png​ (126.2 KB) - added by hlinds19 10 months ago. 880hz.png​ (133.1 KB) - added by hlinds19 10 months ago. 440hz.png​ (120.8 KB) - added by hlinds19 10 months ago. piezo_setup.png​ (192.0 KB) - added by hlinds19 10 months ago.